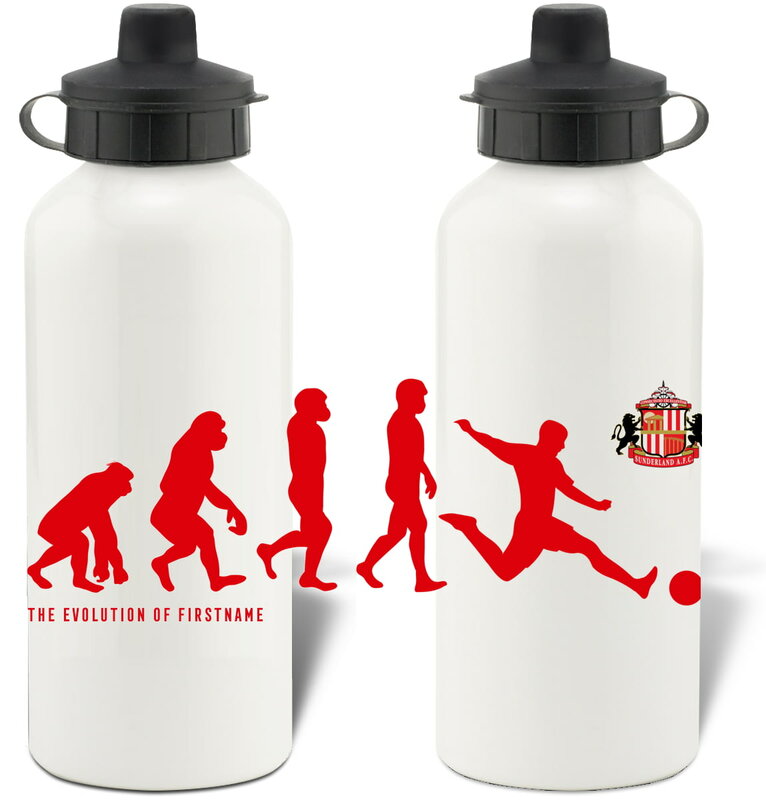 Keep yourself hydrated in style with your own personalised Sunderland AFC Evolution Water Bottle. Available as a stylish silver or white Evolution Water Bottle, this Evolution Water Bottle is fashionable and robust - the perfect gift for any occasion, or a practical treat for yourself. Ideal for Birthdays, Christmas, Back to School and many more. Keep yourself hydrated in style with your own personalised Sunderland AFC Subbuteo Water Bottle. 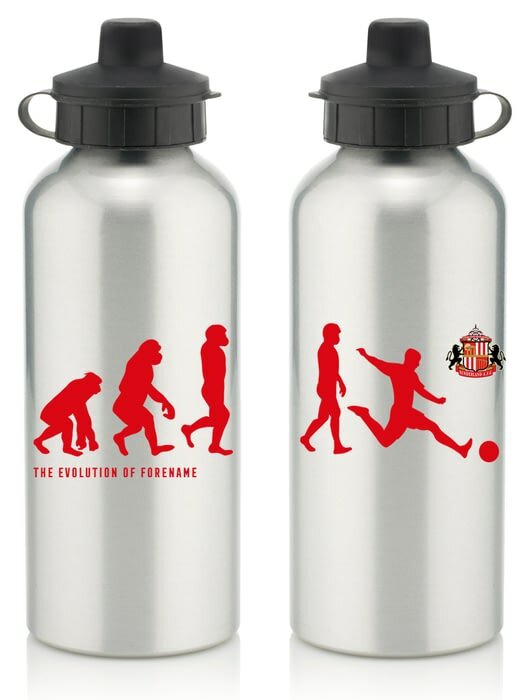 Keep yourself hydrated in style with your own personalised Sunderland AFC water bottle. Keep yourself hydrated in style with your own personalised Sunderland AFC Retro Shirt Water Bottle. This Sunderland AFC Evolution Print is the perfect gift for any occasion. This official, fully licensed Sunderland AFC Personalised Patterned Bottle Shaped Bottle Opener is perfect for any dedicated fan. This truly stunning gift is sure to raise a smile as the recipient sees their personalisation on the Sunderland AFC Subbuteo Mug. Our Personalised Sunderland AFC Player Figure Print is sure to raise a smile when the recipient sees their personalisation on the Player Figure Print.